Web Design Portfolio Inspiration - Get idea for your next website. When getting a new website for your business it can be difficult to decide on what you want. With so many options and styles business owners often become overwhelmed with options. In this article we are going to show you some web design portfolio inspiration to give you a few ideas for your new website. These are some web designs from a range of different theme providers, they are all built on the WordPress platform. With more people looking up menus online, a website has become essential for restaurants, cafes and fast-food establishments. 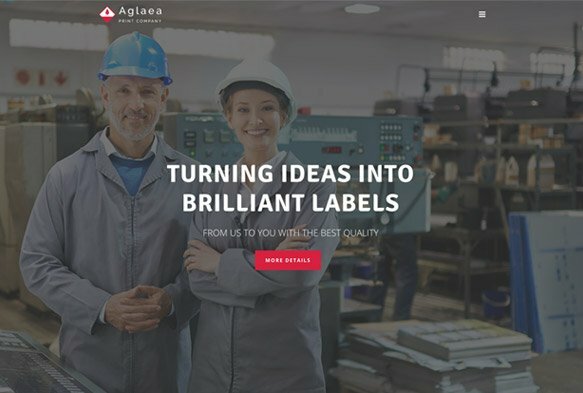 For a bit of web design portfolio inspiration for these types of businesses we found three websites that are unique in their own way. These designs are all made by Artbees and come from the Jupiter theme. The Pecunia website theme is a single page website for a pizzeria, the layout is great because it has a layer slideshow at the top of the screen to display the specials. 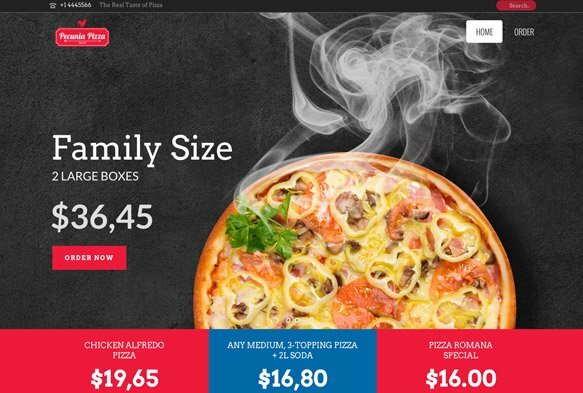 It is a simple design that allows users to purchase pizzas online through eCommerce functionality. This is a great feature for all restaurants as because it ensures people pay before they order. The home page also includes all the items on the menu for ease of use. 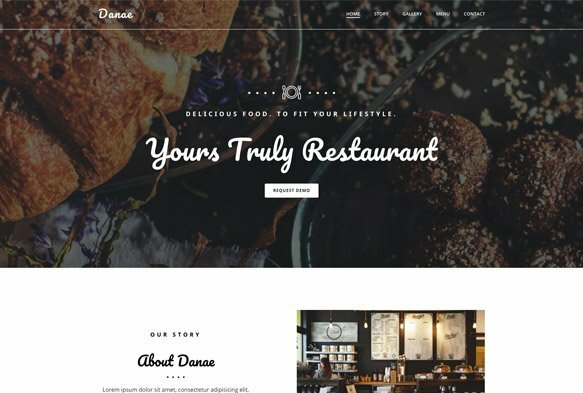 This web design portfolio inspiration wouldn’t be complete without a Café style website. You will notice this website is a bit more in-depth than the Pecunia design. This is a five-page website, the pages include – home, story, gallery, menu and contact. The design is minimalistic and is image based. In the food industry it is important to have an image-based website to showcase your menu. 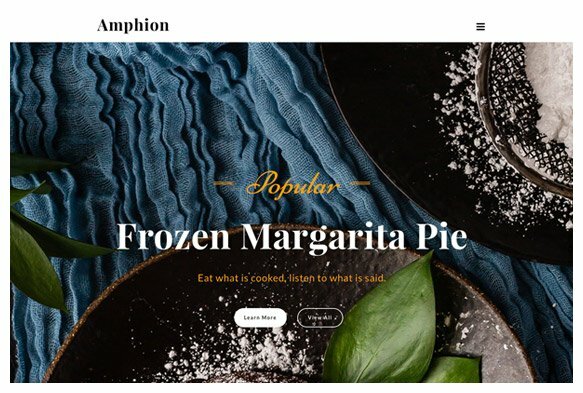 The Amphion design is a unique style of website design. A lot of Cafes and Restaurants these days focus on creating a unique style that separates them from the competition. Although this website might not be everyone’s favourite, it could suit a boutique café or restaurant. The website is simple and very image focused. It only has three pages; Home, About Me and Recipes. Although its not a large website, all relevant information is displayed sufficiently. The popularity of the fitness industry has exploded in the last 10 years. This increase in popularity has increase competition between gyms and personal trainers. Having a strong online presence is a must for any business owner in this industry. These fitness templates are great examples for anyone looking to expand their fitness business. 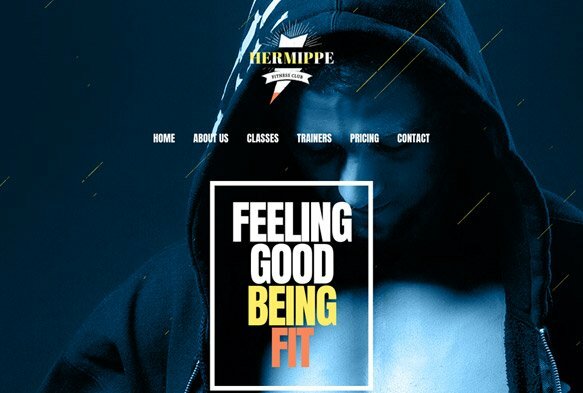 This is a great website design for a personal trainer that wants to sell products or services online. The design is modern with full screen images. It uses gradient heading and icons to capture the user’s attention. This is a website for gyms and fitness facilities. It features custom row styles which gives it a unique appearance and looks great on mobile and tablet devices. This is a full screen design that focuses around imagery and large icons and fonts. It conveys its message in a simple nature. This style of design is perfect for a large variety of business but would work best for those that don’t offer a large range of products and services. Business and professional services websites are unique as they need to impress the user in 5 seconds as well as convey the benefits the company offers the customer. They generally follow a similar style which is, full screen slide show at the top of the page, followed about information about the company and the services it provides, after that there will be testimonials and business contact information. This is a format that is proven to work best at converting website visitors to customers. 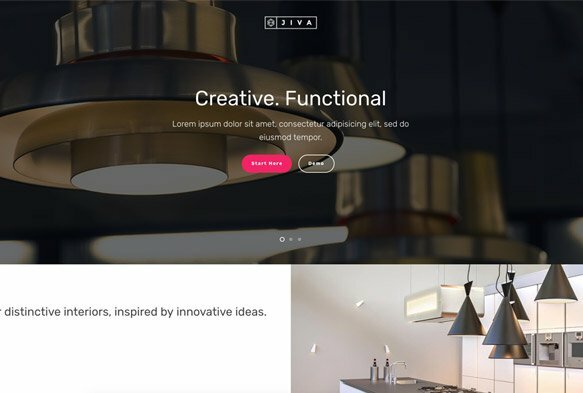 The Jiva website is for a furniture business. It’s design is unique as it uses a ½ + ¼ + ¼ row setting. This helps display information on the home page in original way. This one of a kind layout also allows for four call to action boxes to be displayed on the homepage that fit in well to the design.